If the household members want dosha for breakfast but there is no urad dal in your house then don’t worry. White rice dosha will fill its place. This dosha is specifically seen in Malabar region. ,½ cup of coconut and water. =►Pour the Grinded batter (loose dosha batter) into a vessel. =►Add ½ cup of grated coconut, Mix well and keep it aside for 10 min. 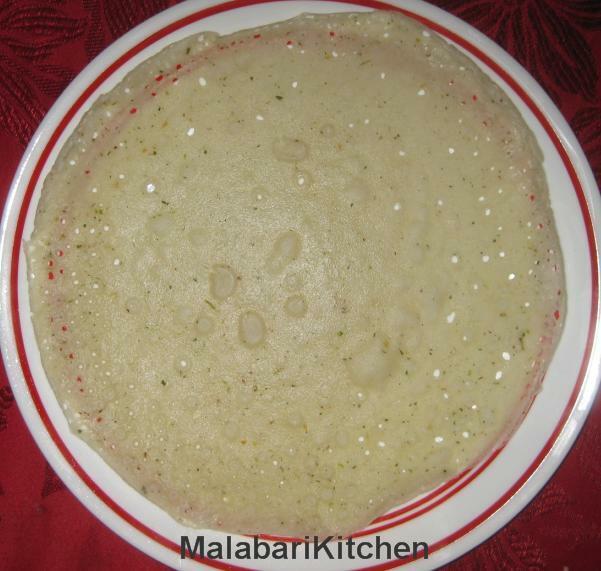 =►Preheat a tava or griddle, pour one and half ladleful of batter into it. =►Close it with a lid and cook for 2-4min. =►Hot dosha is ready to be served with chutney or any curries. =►We can make8- 10 dosha from the above mixture.